Just over $25,000 was raised October 18 during the CGH Health Foundation Delicious Designs event at which area cancer and heart survivors were celebrated. Special recognition was given to the late Pam Topper, market president of Illinois Bank & Trust, who served this past year as Business Division Chair for the Foundation Annual Appeal. 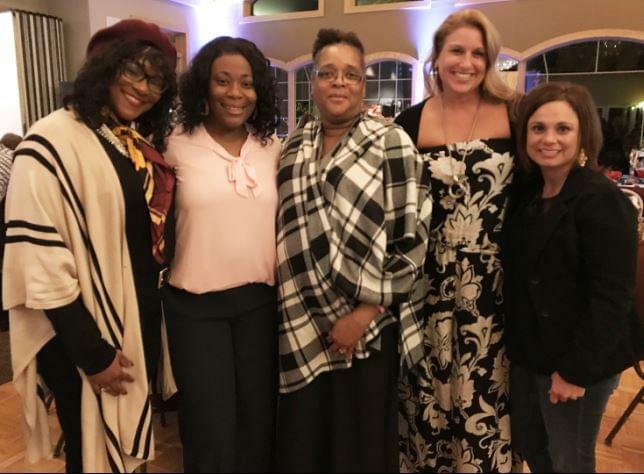 Featured speakers included Cassandra Salmon from Illinois Bank & Trust, who provided a dedication to Pam, and Starr Coleman, a 28-year-old breast cancer survivor who was diagnosed last May. Nearly 300 people attended the fifth annual fundraiser at Deer Valley Country Club. Funds raised will go to help sponsor breast and ovarian cancer and heart projects for area women as well as comfort bags and hot meals for CGH Medical Center chemotherapy patients.